We are very excited to announce that a budding young artist from Cramond Primary School has been crowned the winner of our art competition. Six year old Lauren White’s design was chosen as the top piece of artwork out of over 400 entries from pupils of all ages. A shortlist of 48 are currently on display at an exhibition at Cramond Kirk Halls. Lauren’s entry hugely impressed our judges, who praised her use of vibrant colour, mixed materials and perspective, as well as commending the way in which her poster depicted Cramond village as a very special place to live. 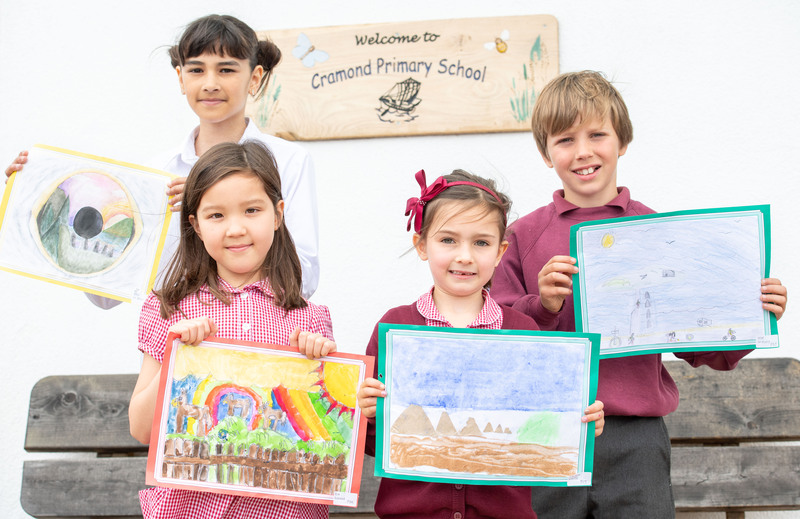 Her winning artwork will now take pride of place in Cramond Residence when it opens later this summer. The competition was split into four categories. In addition to Lauren’s winning entry, three runners up were also selected: Ria Ramage, primary 3, Joe McEvoy, primary 5 and Erin Do Rego, primary 7. Eileen Gray, General Manager of Cramond Residence, said: “We would like to say a huge congratulations to Lauren on her win as she had clearly worked incredibly hard on her piece of artwork and it is very well deserved. “We were so impressed by the calibre of the artwork that the pupils entered into the competition and it’s wonderful to see just how many talented young artists we have in our local area. The difficult task of judging was taken on by a team of well-known locals from around Cramond: Jennifer Thomson, a professional artist from The Blue Easel Gallery, Reverend Russell Barr, minister of Cramond Kirk, Dr Patricia Donald, from Cramond Medical Practice and David Fairweather, editor of Cramond Grapevine. As a winner Lauren also received a top of the range art set and easel, as well as Hobbycraft vouchers to allow her to continue her artistic ambitions. The runners up also received a special art set each. 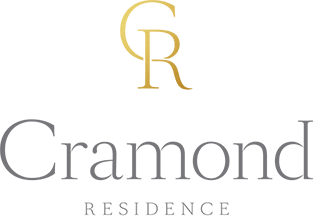 Helen Donaldson, Headteacher at Cramond Primary School, said: “This was a fantastic initiative by Cramond Residence and we were very excited to be involved. “All of our pupils had lots of fun getting creative and using everything from crayons to sand to design their posters. It was great to see how much effort they put in and all the artwork really depicts just how beautiful a place Cramond is to live.